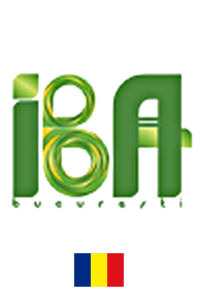 IBA Bucharest is a non-academic public-owned self-financing research organisation coordinated by Romanian Ministry of Education and Scientific Research. It conducts food and nutritional research, product and technology development, lifelong learning programmes, and small-scale production of special foods. IBA holds ISO 17025 accreditation for assessing quality and safety of food products and functions as a national reference laboratory on several food safety and quality issues (e.g. quality of grain crops, GMOs, food contact materials) and as a notification body for botanical food supplements. As research directions, IBA’s interests are in food safety, consumer science, food biotechnologies and bioactive compounds, bioactivity and biodiversity. As one of the most prominent food RTD entities within Romania, IBA plays an important role in developing national food policies by providing expert advice to the authorities. IBA is the initiator of the National “Food for Life” Platform, andalso member of different European networks and associations, such as FOODforcegroup (www.foodforce.org), SAFE Consortium (www.safeconsortium.org), ISEKI Food Association (www.iseki-food.net),European Food Safety Association (www.safeconsortium.org), International Association for Cereal Science and Technology (www.icc.or.at).In the last years, the institute has been involved in over 35 FP6 and FP7 projects, one H2020 project, FACCE Evolve, 8 Leonardo da Vinci projects, 2 Eureka and 4 Erasmus Plus projects.